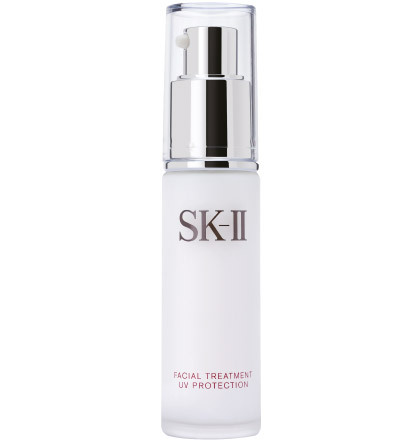 This protective day lotion is rich in Pitera™ and contains an advanced SK-II UV-protection system with SPF 15 to shield skin from daily exposure to harmful UV rays, which can lead to spots and dullness. Skin is moisturized, protected, brightened, and more even-looking. 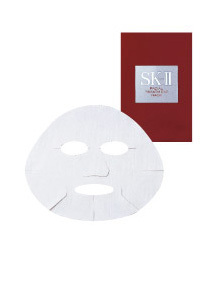 As it blends beautifully into skin, it makes the perfect makeup base to give you a truly radiant and smooth complexion. A lotion that’s light, silky and non-greasy. Water, Galactomyces Ferment Filtrate, Homosalate, Niacinamide, Polymethylsilsesquioxane, Butyl Methoxydibenzoylmethane, Glycerin, Isopropyl Lauroyl Sarcosinate, Pentylene Glycol, Octocrylene, Phenylbenzimidazole Sulfonic Acid, Cyclopentasiloxane, Triethanolamine, Isopropyl Isostearate, Butylene Glycol, Nylon-6, Benzyl Alcohol, Panthenol, Behenyl Alcohol, Stearyl Alcohol, Acrylates/C10-30 Alkyl Acrylate Crosspolymer, Cetyl Alcohol, Methylparaben, Laureth-7, PEG/PPG-20/20 Dimethicone, Carnosine, Ethylparaben, Polyacrylamide, Tocopheryl Acetate, Fragrance, Xanthan Gum, Propylparaben, C13-14 Isoparaffin, PEG-100 Stearate, Cetearyl Alcohol, Cetearyl Glucoside, Disodium EDTA, Stearic Acid, Menthol, Zea Mays (Corn) Oil, CI 75130. 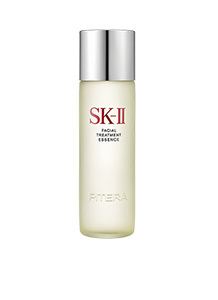 Dispense 1-2 pumps onto palms and dot on your forehead, cheeks and chin. Spread over the entire face outwards and upwards. Take another 1-2 pumps and apply to exposed areas like the neck and back of hands. Avoid the delicate eye area. Apply every morning after your moisturizer as the last skincare step.